GSCCC Cookie Program Sale 2016 has started! 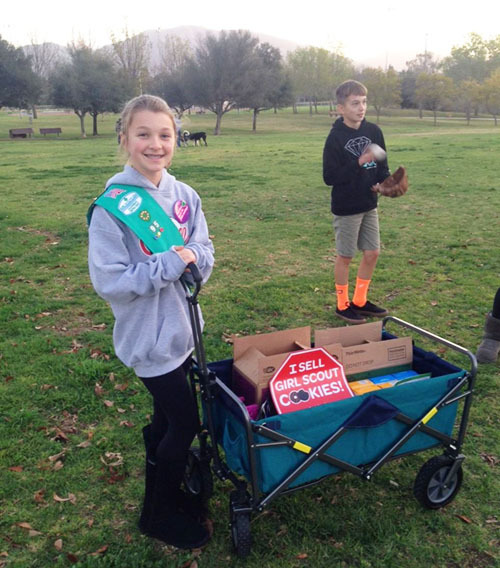 Girl Scouts are on “walk about” in a neighborhood near you! Girl Scout Cookie booths will appear starting February 12. You can find a booth near you by using the Cookie Finder, available as a website page and as an app for iOS or Android devices. Through the GSCCC Cookie Program, Girl Scouts learn about the 5 Skills: Goal Setting, Decision Making, Money Management, People Skills, and Business Ethics.